The Information Technology Plan establishes multi-year strategies and priorities to position the University for a future in which data, digital content and technologies play an integral role in support of research and teaching. The Provost, Executive Vice President, and CIO commissioned the plan with the 1) guidance of the IT advisory committees and 2) a widely participative and consultative process supported by experienced higher education consultants. The IT Plan is organized into four thematic areas with goals and initiatives for the next 4 years. Provide faculty access to an array of software, multimedia tools, learning spaces, and instructional support services to enable the use of technology as one mechanism to enrich students’ experiences, personalize learning, advance research, and improve outcomes. Replace administrative and student support technologies (ERP) with state of the art solutions that support efficient paperless processes, put standardized data in the hands of decision-makers, and provide solutions that are more adaptable and sustainable. Create a foundational technology infrastructure that supports innovation with improved communication and collaboration solutions, ubiquitous and reliable network and computing capacity for teaching and research, and capacity to support mobility. Evolve from a primarily on-premises model of managing technology to a cloud first strategy. Evolve the current IT governance structure to become a more transparent and integrated decision- making body of committees each with clear roles and decision-making responsibilities supported by standard processes for project intake, review, and prioritization. Invest in the organizational capacity and management processes necessary to optimize IT services, support implementation of the proposed initiatives, and help staff to retool as technologies change. Enrich academic technologies and support services to supplement and enhance the University’s distinctive, highly personal faculty and student interactions and to enhance critical components of the University’s research infrastructure and facilitate the growth of faculty and student research and scholarship. 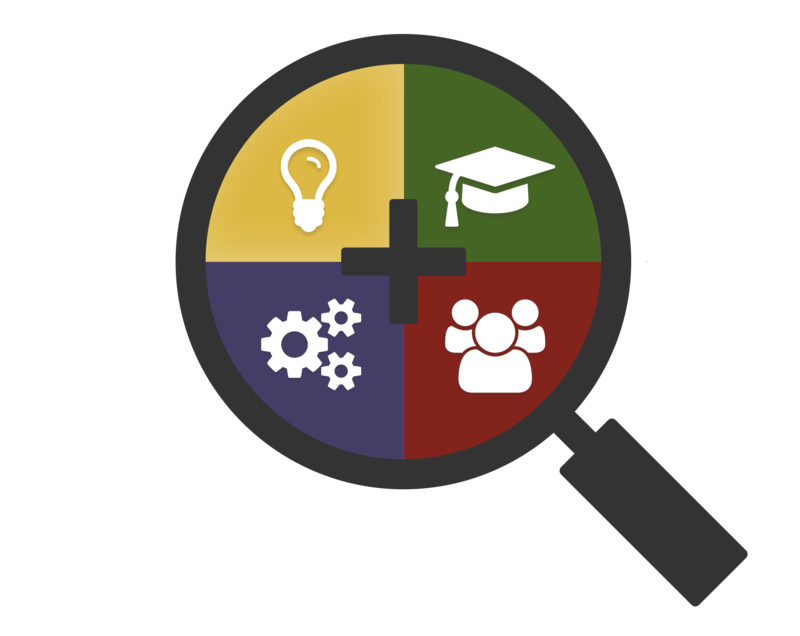 Expand instructional design support (via the Teaching and Learning Collaborative) available to faculty to explore and adopt academic technologies to enable varied pedagogies and student learning styles. Provide faculty and students with more flexible, technologically up to date classrooms, maker spaces, and other collaborative learning spaces to facilitate experiential and active learning. Deploy improved solutions to create, edit, store, discover and stream multimedia content. Monitor developments in learning management systems and consider options for meeting faculty members’ and students’ requirements for a next generation learning management solution. Improve the capacity to analyze large data sets, create custom research applications, and provide support to faculty across all disciplines interested in using technology in their research and scholarship. Increase high performance computing capabilities to support increased research activity. Support academic excellence and student success with services that are efficient, mobile, data driven, and responsive to the needs of faculty, students and staff. Replace Win and Banner with modern finance and human resources solutions (Workday) and evaluate and select the best option to similarly modernize student information systems. Create re-engineered service processes that are paperless and intuitive to navigate, capture consistent data readily available for analysis, automate routine tasks, and provide staff with more time to focus on strategic activities. Develop the technologies, organizational capabilities, and data management practices to create reports and dashboards and incorporate advanced analytics into decision-making. Recognize that the web site has become the primary vehicle for constituents to learn about the University and deploy tools and services to enable it to be current, well structured, and engaging. Provide digital communication and constituent engagement technologies to support outreach efforts that are personalized and designed for mobile websites and mobile devices. Support faculty, students and staff to innovate, discover and collaborate with secure, reliable, and robust technology infrastructure. Improve the capabilities of networking, data storage, computational and communication technologies to support learning, research, and administrative operations. Transition to a hybrid infrastructure that leverages the economies of scale and on-demand availability of cloud computing. Support mobile devices and internet connected objects and enable them to be incorporated into teaching, research and service delivery. Improve support services to expand the types of questions resolved via the Service Desk or self-service; improve coordination among IT groups to provide a seamless service experience. Enhance the capabilities of IT staff, improve processes for managing and financing technology solutions, and sustain transparent collaborative IT governance. Collaboration among technology support groups will be extended and divisions of responsibilities clarified to improve service and eliminate duplication of effort or solutions. Processes will continue to mature in the areas of project and portfolio management, project intake, and service response. necessary to sustain the University’s technology. Additional competencies will be developed in areas such as analytics, research and scholarly computing and academic technologies. The roles of IT governance groups will be clarified, committee memberships adjusted and the underlying decision-making and review processes will be improved and better communicated.